We transform how jobseekers and employers connect through geo-based tools, disrupting the entry-level segment of $5B online staffing market. Kauzu has developed mobile applications that disrupt the entry-level segment of the $5B two‐sided digital employment market. Its tools target under-served markets, emphasizing data quality and analytics. Kauzu’s mobile applications pinpoint listings to a job seeker’s location—even for users with basic cell phones. For businesses, Kauzu’s tools attract nearby job seekers and help them better understand and target customers. Prior to joining Kauzu, Mitch served in founding and leadership roles in various sectors, including corporate, small business and nonprofits, with expertise in project management, small business consulting, diversity inclusion, marketing communications, IT consulting, capacity building, and business development. Jeff has enjoyed successful careers in advertising and options trading. He served as copywriter and creative group head for the Meyocks Group in Des Moines, Iowa; during his years as a full-time, independent trader, he also published award-winning fiction. Paul brings over 15 years of fundraising, event, and operations experience to Kauzu's outreach and partnership efforts. 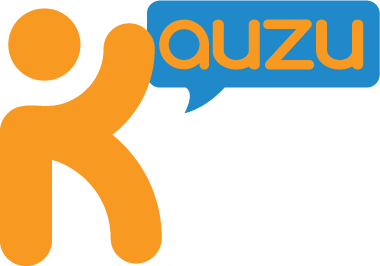 Paul believes Kauzu can help local communities thrive, strengthening the bonds between job seeker and employer that make each community unique.